What Causes “Hard-To-Cook” Defect In Beans? My split peas from this morning, after 2.5 hours. It was touch and go for a while but they finally broke down. Old seeds take longer to cook. If stored in hot and humid conditions, they develop the “hard-to-cook defect” and become impossible to soften. Sometimes dried legumes never fully soften no matter how they’re cooked. This hard-to-cook defect develops when they’ve been grown in unusually hot and dry conditions, or stored for months in warm and humid conditions. There’s no remedy except to find a more reliable brand. I realized this myself through trial and error. 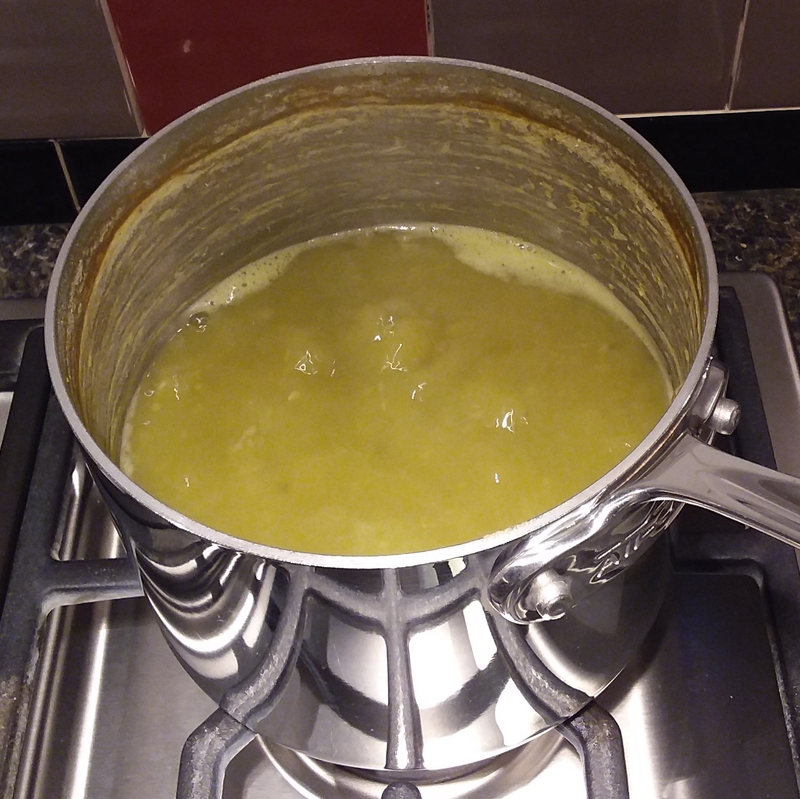 Several years ago I tried to make split pea soup. Several batches of split peas, purchased locally and online, failed to cook up into anything other than pebbles in water. The peas remained as hard and intact as when I began. I tried soaking (once for 24 hours), boiling for up to 7 hours, using/not using salt and baking soda, using different water sources. I even tried to salvage a pot of cooked peas by whizzing them with an immersion blender. It produced hard flakes in water, still not very edible. I think when beans begin to germinate, they produce enzymes that protect the budding bean, that make it less likely to leak the starch that the bean will need to grow. So, anything that could initiate the germination process – exposure to warmth and humidity, soaking (yes, soaking!) – may produce hard-to-cook defect. That’s my hunch. I had some white beans (Great Northern) soften more easily when I didn’t soak them than when I soaked them overnight. Soaking lentils makes them harder to cook as well. I have nothing to back me up here; I haven’t even Googled it yet. Just putting it out there. This entry was posted in Uncategorized on November 13, 2017 by Bix.